Hair Transplant can be defined as hair follicle transfer. Hair Transplant is the transfer of hair follicles collected from denser Hairy areas (nape and sides) to the sparse areas. Hair Transplant is a highly preferred and permanent method as it provides natural and healthy results. Hair Transplant also resolves various psychological problems and social introversion caused by hair loss. There are many factors, causes and triggering elements involved in the reasons of hair loss. Hair loss, which is one of the most frequent problems of our time, may be due to genetic predisposition, unhealthy nutrition, chronic diseases, excess hairstyling and many other triggering factors. We can examine hair loss cases in two categories: male pattern hair loss and female pattern hair loss. Androgenetic alopecia, known as male pattern hair loss, can start during early twenties and results in hair loss especially at the top and front strip of the head within a few years. Reasons of male pattern hair loss are related to genetic infrastructure. And female pattern hair loss is a common condition that can be seen 1 in every 10 women around the world. Genetic background or other factors are responsible. This hair loss type that is characterized by thin, weak hair and especially distinct loss in the hair separation line can be resolved with modern and effective results through Hair Transplant. Whatever the reason of hair loss, if it is determined that it is caused by a underlying triggering factor upon investigation, reasonable treatment should be considered first, then hair transplantation can be evaluated. If hormonal diseases or deficiency of vitamin, mineral or any other substance is found, the best option is to try to treat hair loss at a disease level. How is hair transplantation examination performed? Hair loss ratio and rate are reviewed in the Hair Transplant examination. During the examination, doctor tries to learn how long is hair loss or baldness continue and whether this situation is genetic or triggers other diseases. Different tests are performed to determine. Finally, the donor site, where the healthy hair follicles will be collected from, is decided. Determination of healthy hair follicles that are eligible for transfer is one of the most important topic of Hair Transplant procedure. For this, the donor site, the area where follicles will be collected from, must be determined during the examination. The hair follicles that are available for transfer are removed from the nape region most. If this area does not yield the desired amount, the beard, chin area and finally the back, shoulder, leg or chest area are looked at. Determination of the donor site is one of the most important steps for proper planning of the process. Patients who have developed excessive baldness problems are looked at in the nape area first. If there is no sufficient amount of healthy hair at the back of the neck, the beard area is checked. If the patient suffering baldness problems will not be uncomfortable for the sparseness in the beard area, it is actually a region where the most efficient and high quality results are received for the donor area and there is little compliance problem. The chest donor area is a field with variable efficiency, each type of hair is different, and therefore a prior test transplantation should be performed. Last donor sites to be checked are back and leg areas. In these areas where hair follicles with different structures are present such as the chest, the most eligible and available follicles are collected by considering the comfort of the patient and without forcing them. The method to be used is decided during the examination after the donor site is determined. Today, there are two methods for hair transplantation: FUT and FUE. Both methods enable transfer of living hair follicles and do not require general anesthesia. Their difference is in the collection method of hair follicles. 1-FUE : This is the one-by-one hair follicle collection method from the hair area between the two ears or from abovementioned alternate regions by using special device heads that have 0.70-0.80 and 0.90 mm diameter with the use of a micromotor. No use of scalpel in the donor site, no suture and no visible scars in the donor site are among the greatest advantages. More follicles (grafts) can be collected by FUE method and it enables more natural and thick hair growth. This method provides 3000-4000 follicles (grafts) from patients with average hair density. 2-FUT (Follicular Unit Transplantation): This is the separation of follicles (graft), collected by dissecting the scalp between the two ears as a strip, under the microscope. This method is rarely or not preferred at all with the development of FUE method. The reason is in FUT method, scars are left in the donor site and desired number of follicles cannot be collected. Scalpel is used for this method and donor site is sutured; scar is apparent after shaving. Transplanted hair will never be lost again. The most important thing to remember before and after hair transplantation is that each patient is unique and all assessments must be performed exclusively. You can easily get back to your normal life within a few days as the procedure is performed under local anesthesia in hospital conditions. In our Estetik International clinics we don’t use FUT method as we prefer innovative hair transplantation techniques and place utmost importance to patient comfort. Primary question of everybody who has baldness problem are about Hair Transplant stages. If the patient, who has decided to undergo the operation, knows what they will encounter will increase their trust to the procedure and makes them feel psychologically ready for hair transplantation. You can ask all your questions to our expert that will perform the operation. You have to make some preparation at home before you come for Hair Transplant . In the morning of the Hair Transplant operation, there will be some preparation for you at the clinic before the procedure. • Do the preparations instructed by your doctor for home and stop the drugs specified by your doctor that may cause side effects 1 week before the Hair Transplant procedure. • Start using B and E vitamins recommended by your doctor. • You can accelerate the blood circulation of the areas with donor and receiver site massage 2 days prior to the operation. • If your are going to have your hair cut before Hair Transplant, contact your doctor first. • Take a shower the night before the operation, clean and rinse your hair. • Start the operation day with a nice breakfast and come for the operation with a full stomach. • Avoid active, tiresome and stressful activities and sports before the procedure and come to the clinic as well-rested. • Come with a comfortable cotton hat that is not tight to use after the procedure. Your doctor will review the planning decided during your examination and will invite you to the clinic room for transplantation. You can ask all questions you may have at this stage. Your picture will be taken by a medical photographer before the operation and then the procedure will start. • Then, transplantation site where collected follicles will be transferred to is prepared. • Follicles to be transplanted are prepared for the procedure. After taking your pictures, lines will be drawn to your head to restrict the area. Local anesthesia is performed so that you don't feel pain. You can read a book, watch television or even sleep during this time. As the donor site is one of the most precious treasure of the patients with baldness, your doctor will collect the hair follicle with utmost care without damaging. There will be a break after a certain amount of time depending on the baldness degree and number of collected hair follicles. Hair Transplant starts right after the break is over. Transplantation density is decided based on the hairline, characteristics of the collected hair, age of the patient, and shape of the head and face. Healthy hair follicles collected from the donor site are planted to the related area in suitable degrees. Direction and angle are the two most important stages of the procedure and they are crucial that the patient's hair won’t look like a hedgehog when grown. At this point, doctor’s aesthetic estimation and professionalism gets into play. Donor site is bandaged and the procedure is completed. The “shock loss” stage of the planted hair starts at the end of the second week after the Hair Transplant procedure. New and healthy hair starts to grow back within two months later that. Almost all transplanted hair will be grown back healthily after eighth month. As we mentioned before, within 1-2 weeks after transplantation there will be a “SHOCK LOSS” stage. After this sudden hair loss, healthy hair will start to grow within two months and planted hair will almost completely be grown back at the end of the eighth month. If the preferred method is organic hair transplantation, you can have even more efficient and healthy hair. The most important thing to know is whether hair will be fed or not after transplantation. If your hair is not fed properly and in healthy way, hair loss will be inevitable again. We suggest you to refer our doctors for detailed information. Contact us now and ask your questions to our doctors. Primary question of everybody who has baldness problem are about Hair Transplant stages. If the patient, who has decided to undergo the operation, knows what they will encounter will increase their trust to the procedure and makes them feel psychologically ready for Hair Transplant. You can ask all your questions to our expert that will perform the operation. You can go to your home, drive and continue with your daily life immediately after hair transplantation. There may be a slight edema later in the procedure day. Pain is extremely rare. Your doctor will explain in detail you what you should do after hair transplantation. Following all their recommendations is very important for further enhancing the results of a successful operation. • The hygiene of the transplantation area is of utmost importance. Therefore keep your pillow clean. You can lay on your back with a 45 degree for a more comfortable sleep. • Use the medication, cream, shampoo and instructions provided by your doctor. You can take a shower 24 hours later by following the instructions. Transplantation area and donor area may look like irritated. This is completely normal; both areas are intervened due to Hair Transplant. Donor area will heal within 2-3 days and you will see small holes where grafts are planted. Pain very rare after FUE procedures. If there is pain, mild pain relief drugs will work. Do not touch the donor site in the first evening. Do not wash in the first evening. Cover your head with the hat or hair band we give you when you are outside. We recommend you to sleep with your head raised in order to avoid grafts to be rubbed or removed while you are asleep. Using 3 or 4 pillows to raise you upper body will help you to achieve desired angle. Avoid alcohol in the evening of the procedure. Alcohol may interact with drugs prescribed or administered during the procedure. We provide post-operative hair washing in Estetik International Hair Transplant center generally on the first day and if deemed suitable by your doctor. After hair washing, your doctor will give you special shampoo or other apparatus to be used for the following 4 or 5 days and will provide you with the necessary instructions. The redness or pinkish coloration in donor and receiver areas start to fade away. At the end of the first 5 days, the problems you observe in that area start to go away. During your appointment with us, you should learn how you must wash your hair. You don’t have to wash your hair again after the first hair washing. Upon your doctor’s approval, you may continue to wash your hair on the second day after the procedure using the method to be instructed by us. There may be slight sensitivity or pinkish coloration and even scab in donor and receiver areas. This will continue for the first week and will fade away gradually. Swelling may start on forehead and around the eyes on the second and third days and can reach its peak on the fourth day; it will start to go away afterwards, do not worry. You doctor will inform you about drugs and apparatus to be used for the first few days in oder to minimize swelling. Avoid touching the transplantation area; protection of that area is your responsibility. Even accidentally touching may disturb the grafts as they try to get used to their new homes, therefore, we highly recommend you to provide utmost protection. Avoid long exposure to sunlight. Sunburn may affect skin pigmentation and damage the transplanted hair. Raise upper body during sleep in order to reduce the swelling in your forehead. Consult your doctor about doing sports after the procedure and follow their recommendations. Do not wipe your forehead because your grafts must not move for the first 4 days. You can wash your hair as per the recommendations and instructions of your doctor. If you encounter a different and unexpected situation, call your doctor and do not hesitate to do so. Itching and slight sensation of burn starting from the 5th may be indications of recovery. If you experience unbearable itching and burning, you may ask your doctor to prescribe medication or scalp moisturizing cream. Upon your doctor’s approval, you may continue your all physical activities and sports after the first 5 days. Newly transplanted hair starts to grow thin and becomes longer and thicker in the following months. Some patients may go through shock loss, the loss of current hair. You can consult your doctor and continue to wash your scalp and hair as you would normally do to help them grow back. Avoid long exposure to sunlight. Newly developing hair at this stage becomes longer and thicker. All newly transplanted hair strands have started growing back, however, they are yet to reach their final thickness or length. If you need to go outside under the sun, you can use soft bandana, loose hats or umbrella to cover your head. You can use high factor sunscreens by consulting your doctor. Transplanted hair continues to grow, strands become stronger and longer; this way, you can use any hair style you like. You see the tissue change in your hair strands during this stage. The final result of Hair Transplant occurs at this stage. We congratulate you for having changed your life. Enjoy your new hair! We recommend you to review our Organic Hair Transplant page. We hope that you have healthy hair for life. Which advanced technologies of today are used for Hair Transplant? 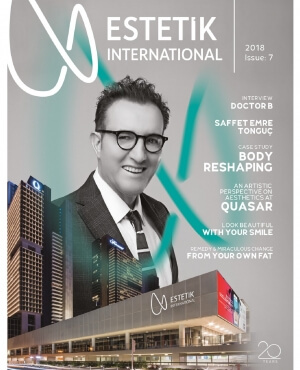 In Estetik International clinics, we use state-of-the-art Hair Transplant methods like Organic Hair Transplant, FUE Hair Transplant and Bio Hair Transplant. It takes 3 months for transplanted hair to grow back. Shock loss in the donor site occurs approximately 10 days after transplantation and transplanted hair starts to grow back healthily within 3 months. It takes 6 months for all follicles to grow back. Is it mandatory to shave the hair? No, it is not. You can just inform your doctor about your preference. Will hair grow back in the donor site? No, it won’t. Hair follicle will continue to grow in the transplantation site. We pay great attention to age and hairline starting point in Hair Transplant and we plan the procedure accordingly. In addition, you will have a completely natural look as transplantation will be performed according to the growth direction of the follicles. Surgeries are performed within Estetik International Health Group. Transplanted hair does grow. Only difference is that follicles continue to live in their new location. The duration depends on the hair gap and the number of grafts in the transplantation site. However, doctors try to complete the procedure within a day at the latest. In what circumstances Hair Transplant cannot be performed? Hair Transplant cannot be performed is donor area is not found and if there is insufficient hair follicle to be transferred. Where do you collect the follicles, can they be collected from another place instead of the back of the neck?